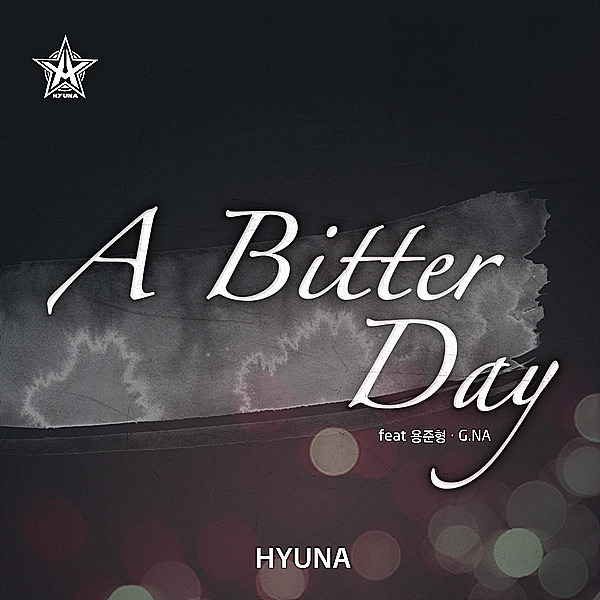 [Album] 4minute HyunA gets G.Na and B2ST JunHyung for “A Bitter Day”! 4minute HyunA has been said to have her solo comeback on July 2011. Yet, her solo comeback single “A Bitter Day” featuring G.Na and B2ST Yong JunHyung is going to be disclose on 30 June 2011. Since Korea time is already 30 June 2011, the song is now up on mnet & daum site [and maybe other korean sites]. I already listen to the song, and it took me only 1x replay in order to like it. This is definitely another great colab between CUBE artists! The song is expected to create another hit, as the song writer Choi GyuSeong is the one who wrote B2ST hit “비가 오는 날엔” – “Bi ga oneun nalen”. Listen to the song at mnet here or at daum here . Buy the single and support HyunA! « [Road to B2ST Spore FM 02.07.2011] FanChant Video Learning!